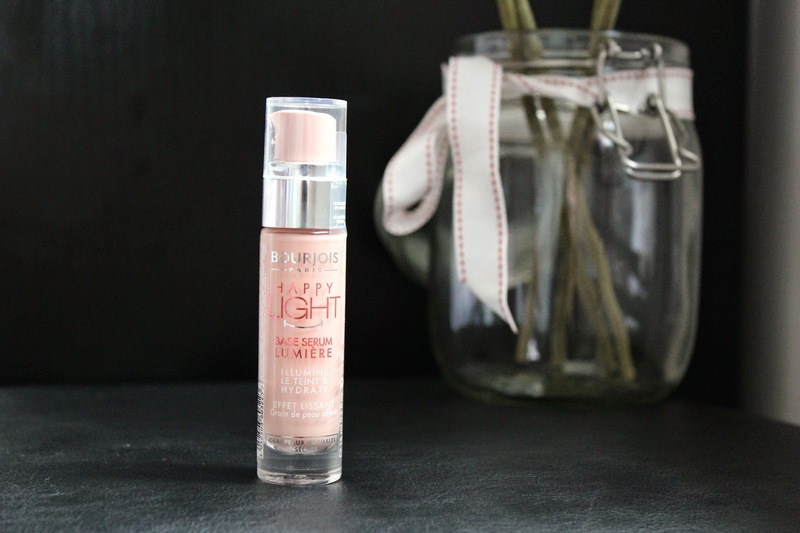 Primers are few and far in my collection, as they either make no difference to me, or overly silicon based (they tend to break me out), and since the Bourjois Happy Light release hit the shelves a while back, I have been tempted to try it out myself. Despite my combination skin, I have been obsessed with glowy, dewy skin and powder is always by my side if things get a little shiny so it seemed the perfect time to give this a go. The texture of the Luminous Serum Primer is really nice, it is very much a serum as the name suggests - lightweight, and skins into the skin quickly leaving a smooth base to begin your makeup. There isn't actually shimmer in this which is a massive plus for me, but it honesty adds so much inner glow and radiance to the skin without it. In terms of increasing longevity of makeup (although this doesn't claim to do so anyway), I don't see much difference and sometimes I feel like my makeup does disappear at the very end of the day but for the majority of the day with a stunning sheeny glow its worth that sacrifice. Might I add, the scent really reminds me of baby shampoo, but I'm not complaining by any means. That sounds really good :) Really need to try it.